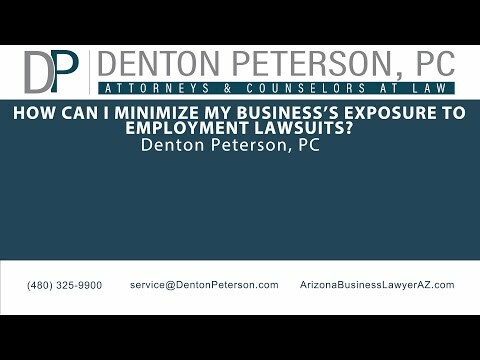 Home > Blog > How can I minimize my business’s exposure to employment lawsuits? One of the biggest concerns for any employer is unknown liabilities. One of the most commonly feared unknown liabilities is litigation. If a company is not adequately prepared, even a frivolous lawsuit can result in an expensive, embarrassing and often unnecessary distraction. An employer’s best defense for suits brought by employees is consistent implementation of transparent workplace policies. The following are three easy tips on how to minimize your exposure to employment suits through ensuring your employment policies are known, accurate, and consistently enforced. 1. Review And Update The Employee Handbook. Most companies, big or small, have recognized that adopting a well-drafted employee handbook can protect them from a wide range of employee related problems. However, once the task of drafting the handbook has been completed, these same companies frequently fail to review or update their handbooks. As a result, the handbook which was once complied of the up to date laws, becomes outdated and is inconsistent with the actual policies of the company or is contrary to existing employment laws. An outdated employee handbook can be harmful to a company if it is faced with a lawsuit from a disgruntled employee. Accordingly, like all crucial business documents employee handbooks need to be reviewed at least once a year and revised as necessary to keep up with the latest policies and laws. If you are not familiar with these topics then you should contact your Arizona business attorney for help with updating and adding these topics to your employee handbook. To the extent that the employee handbook is updated or revised, companies must remember to redistribute the handbook and obtain acknowledgment forms from all employees that they have read, reviewed and agreed to the terms and conditions of the new handbook. Lastly, the acknowledgement forms should be kept in the employee file for safekeeping. 2. Review And Update New Employee Hire Package. Many companies have new employees review and execute a large number of acknowledgments of policies, agreements, statements and memoranda during their initial orientation. This is a great practice that helps the new hire to be acquainted with the rules and culture of the business they are joining. However, the benefit of this practice is lost when the documents were adopted years before and are out-of-date, conflicts with the employee handbook, or are inconsistent with other personnel policies. Show your new employees that the rules are important to you and will be relevant to them by keeping the “new hire package” up-to-date. 3. Train, Train, and Train Some More. A well thought out and written policy is only effective if the company’s supervisors and managers know what to do when discrimination or harassment is reported or observed. Without the appropriate training, a complaint may not come to the attention of the responsible management personnel until it is too late and a lawsuit has been filed. Therefore, all managers and supervisors should frequently be trained about what conduct constitutes harassment, as well as methods to deal with, address and report complaints of harassment. In fact, federal and state law permits employers to be held strictly liable for the conduct of any individual they place in a supervisory position, even if the individual acts contrary to the employer’s policies. Consistent training of managers and supervisors both informs them what to do when they observe this behavior and reduces the risk of them engaging in harassing acts themselves. Both of which are critical in protecting any company from liability stemming from discrimination and harassment lawsuits. These three recommendations may seem daunting, but they will go a long way towards protecting a company from employment related liability. Keep in mind that these recommendations do not have to be completed all at once. Tackling a small portion of these issues each month can eliminate many common sources of employment problems facing a company. 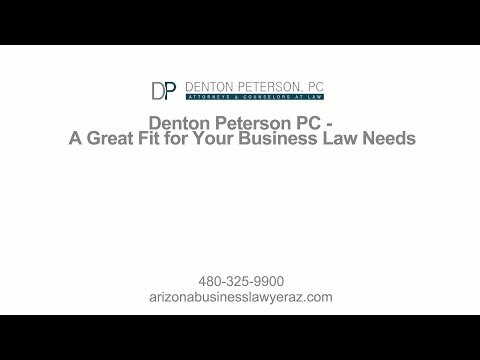 If you are in need of a business law attorney in Mesa, please contact us today at Denton Peterson, PC.